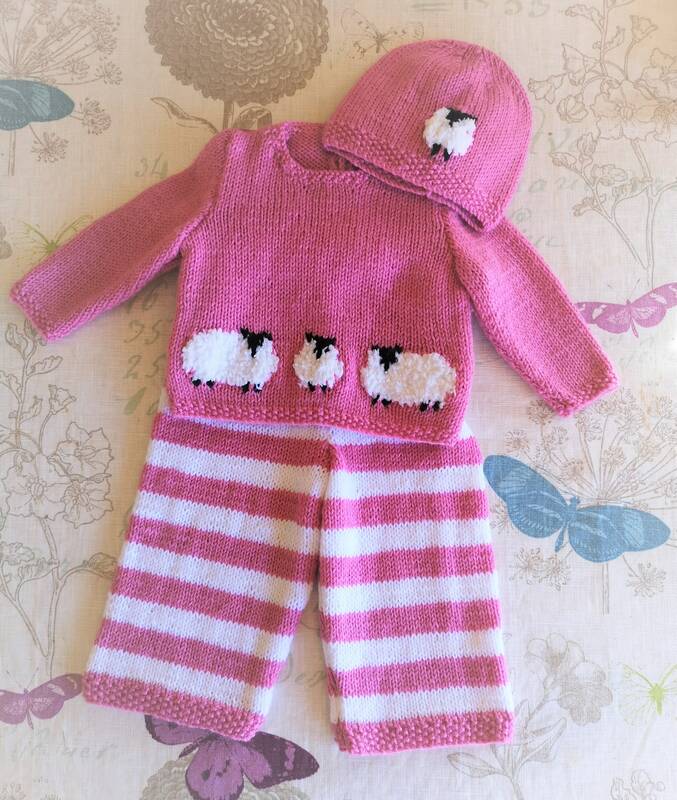 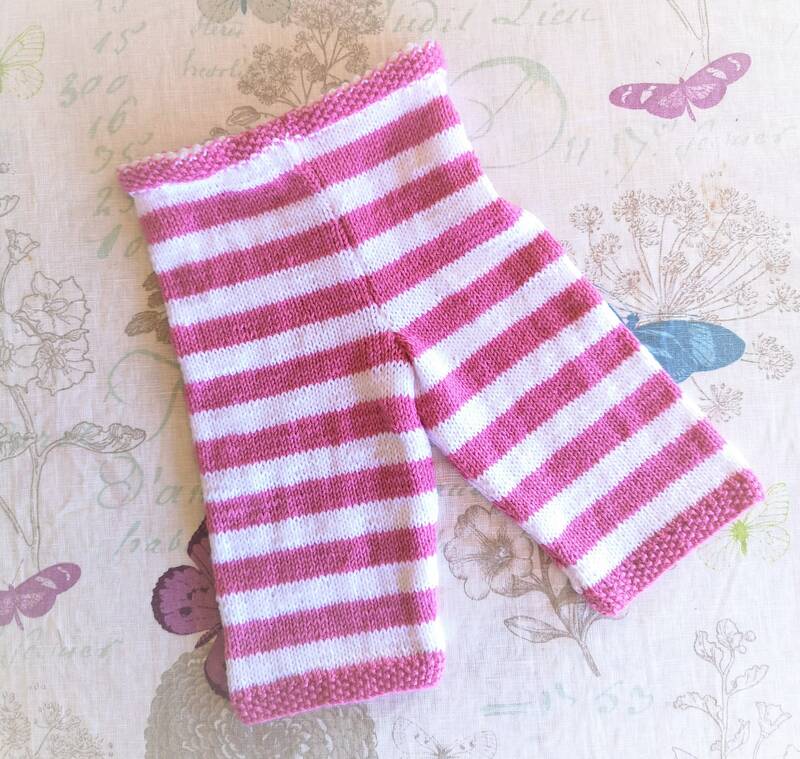 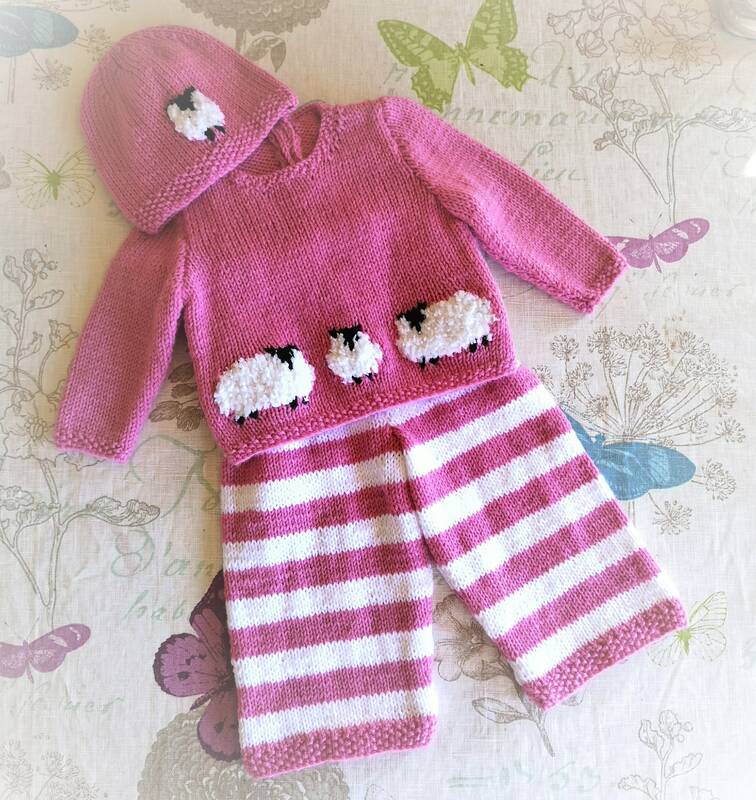 Knitting pattern for a cute Sheep Outfit for babies and toddlers aged birth to 18 months. 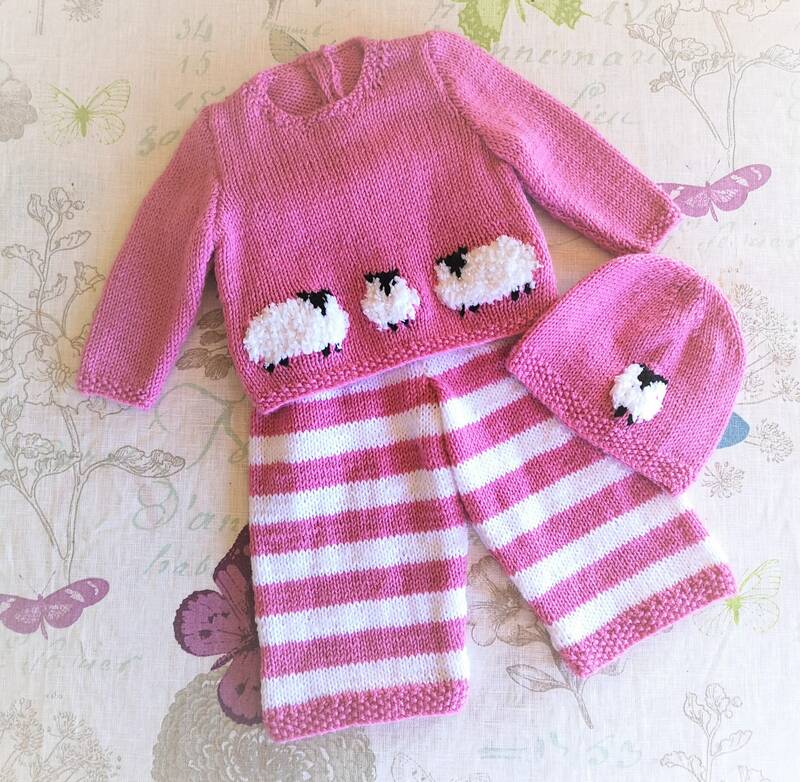 Knitted in double knitting yarn and a fluffy chunky yarn for the sheep. 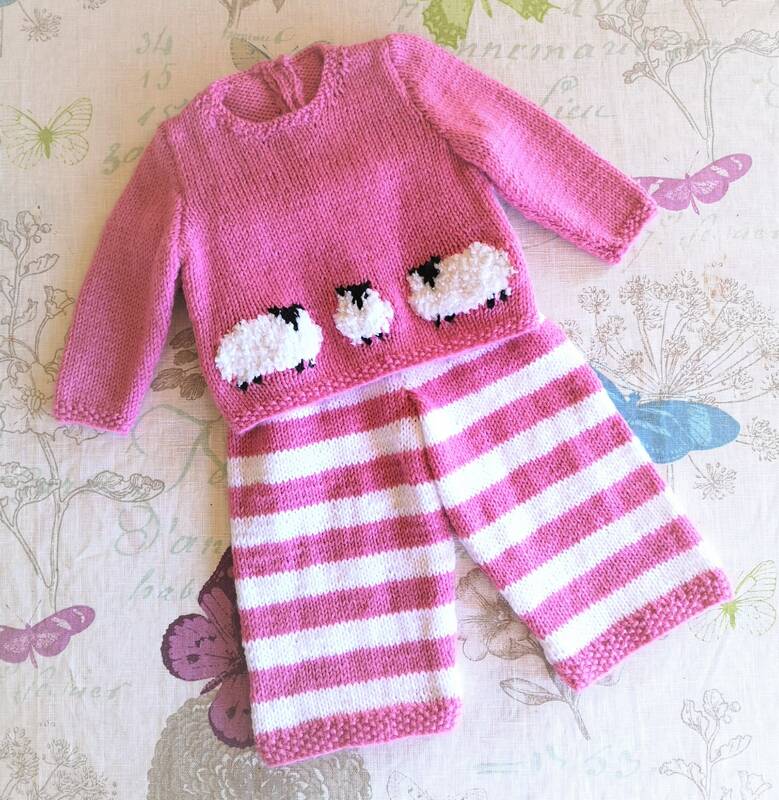 There is a back opening on the sweater with a button to allow ease of fitting.